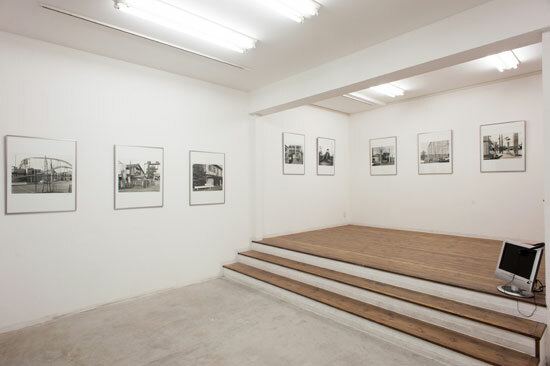 OGU MAG and Gallery RAVEN, Tokyo. Tsunetoshi Osafune (1943 – 2009) worked in the fields of Photography, Performance, Computer Art and Plastic Arts. He was active as a researcher of European Modernism, at the same time, he decidedly engaged in building up a network of Shizuoka-based, local artists, contributing to the formation not only of an art movement, but also to the artistic curriculum of its members. 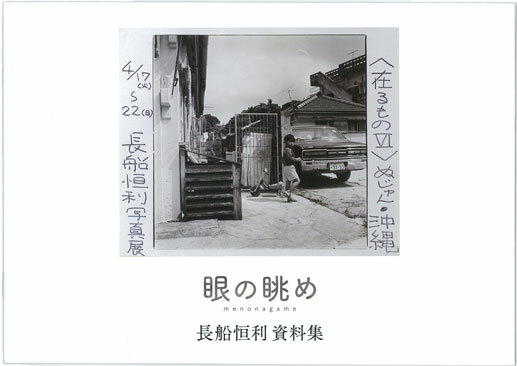 The show focused on one of his principal works “Arumono”, a series of photographs he had worked on between 1977 and 1980. Thanks to his vital approach, he published it in eight issues over the short period of three years only. 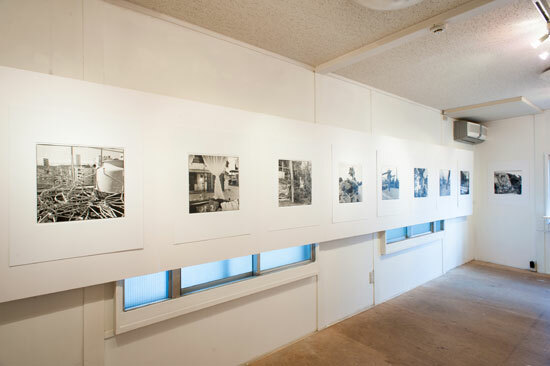 The photographs of the “Arumono” series document sights of his everyday in the rural metropolis. He focused on objects that could easily be overlooked against this ordinary background, such as telephone poles and signboards or traffic lights. In Osafune’s photographs, faces of people – a main attractor of the beholder’s attention – are often cut off. We can understand from his own testimony, how he tried to change the worldview in photography, groping his way to new possibilities of presentation. Looking through “Photography, Just a Record?,” let us think about the characteristics of photographs, in which no objects are represented, no objects can be perceived. To solve the spell of assumptions, the contemplation circling around the “I” has to be eaten by a dog. 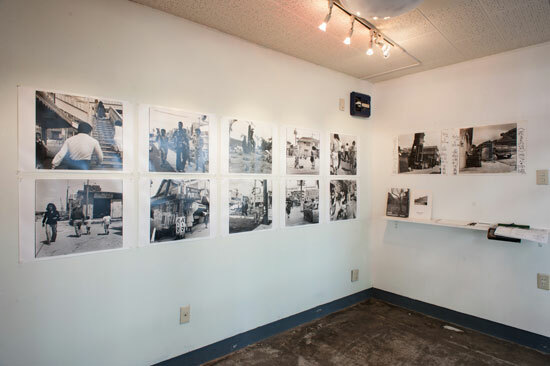 The history of photography is too short, so let us depict the world disclosed in photography preceding any meaning. From (Arumono I), in: “Today’s Photography, ‘77”, Kanagawa Prefectural Gallery, October, 11 - 23 1977. 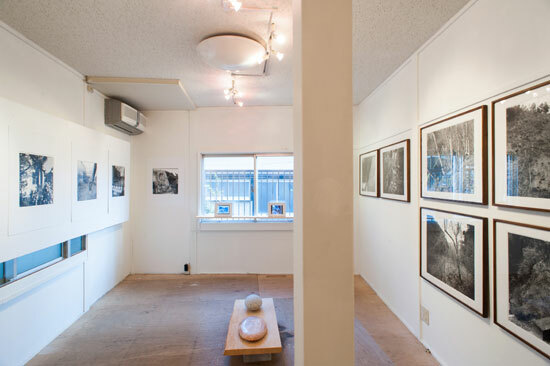 Furthermore the two series “Landscape” and “traverse,” included in the same exhibition, feature other motives, focusing on (corroded) mountains, and dams rather than on houses and men found in “Arumono”. They show the intervals between wilderness and civilization, the margins, what men left behind in nature as well as traces of things, plants and the flora. In Osafune’s artworks men and things are portrayed equivalent to nature. To decide, what is depicted or what to capture, is thus left to the audience. JCRI supported the initiative to present Tsunetoshi Osafune’s various activities and subsidized a publication of his collected works. The publication not only includes his photographs, but also his writings, as well as scholarly essays, and a chronicle. In order to illuminate and publish his versatile legacy from multiple perspectives, the catalogue presents itself as a collection of material.